'Shoot' by Marco Monetti via Flickr. The concept of resilience has largely become the new paradigm of climate change adaptation on all scales. The discourse on resilience extends across organisations, national to local governments, development agencies, and individuals. The term, however, is used so often, in so many different fields, among so many different actors, that it can be difficult to understand what resilience is and how it differs from other common responses to climate change such as adaptation and development. This article will provide a brief overview of the history and concept of resilience, along with criticisms and how these criticisms may be addressed. Most people have likely heard the term resilience at some point throughout their lives. Resilience is a concept that exists in many different fields - from economics, psychology, sociology, engineering, biology and environmental science. Most have a basic understanding of what resilience means: to encounter some kind of challenge, to make it through that challenge, and to learn from that experience so that one is better prepared for future challenges. Resilience as it now relates to socio-ecological systems is traced back to Canadian ecologist, Buzz Holling, who in 1973 posited resiliency in relation to ecosystem stability and adaptation. At the time, the focus was purely on the resilience of ecosystems and how they respond to disturbances. This concept was then extended to encompass the resilience of socio-ecological systems. Today, in this context, resilience includes social, economic, technical, and political strategies in regards to climate change. One of the most commonly cited definitions is that of Folke et al. (2005), in which resilience is defined as: ‘the extent to which a system can absorb disturbance and reorganize while undergoing change so as to still retain essentially the same function, structure, identity, and feedbacks’ (p. 442-3). See Box 1 for a short selection of alternative definitions. There is a general level of cohesion amongst definitions of resilience, where characteristics of a resilient system include their capacity to absorb change, to learn, and to self-organize. Box 2 describes the how a resilience approach can be useful because it highlights various aspects that stakeholders may want to consider when approaching adaptation planning. 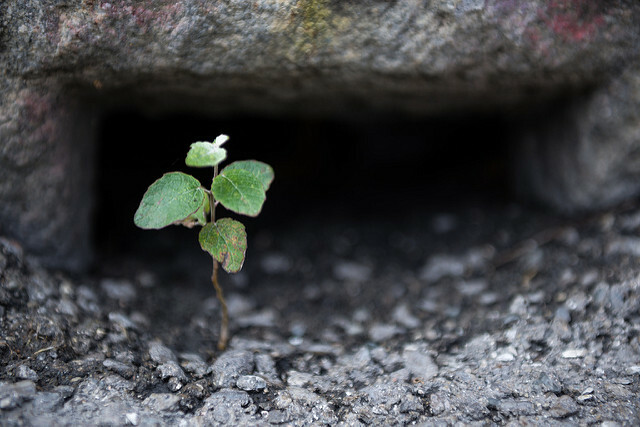 Resilience is a system characteristic (or set of characteristics) that strengthens a system’s adaptive capacity - the potential or capability of a system to adapt to (to alter, to better suit) climatic stimuli or their effects or impacts – which will help systems adjust to a variety of possible impacts or changes, instead of being adapted for only one potential outcome. Resilience thinking adds an analytical depth to adaptation processes because it helps stakeholders to recognize and integrate multiple threats, acknowledge linkages across sectors and scales, and builds the capacity to cope with future change. Of course, there are criticisms of resilience, and the concept and definitions are continuously debated. One criticism to stress surrounds the component that focuses on a system ‘retaining the same function.’ In this way, resilience is not inherently ‘good.’ It can reinforce an undesirable status quo, maintain a disadvantageous state, and resist change. So too, however, can it build adaptive capacity - the potential or capability of a system to adapt to (to alter, to better suit) climatic stimuli or their effects or impacts – which will help systems adjust to a variety of possible impacts or changes, instead of being adapted for only one potential outcome. Social theorists, especially human geographers, concerned about maintaining the status quo have rightfully criticized that the underlying politics of resilience have been ignored and stress the importance of context asking “resilience of what, to what, and for whom?”. Moreover, practitioners should keep in mind that resilience extends to both acute shocks (floods, droughts, earthquakes) and chronic stresses (lack of health care, lack of education, unemployment, etc. ), and resilience can be built amongst people and communities as well as into infrastructure and planning. Moreover, resilience thinking has expanded over the past several years to recognize that resilience can include social change and deep transformation (see transformative adaptation for further discussion), to generate novelty after recovery and reorganization from an event. That is, changing social systems and structures in response to or in anticipation of chronic or acute stressors does not equate to ‘system collapse.’ Rather, transforming away from the status quo can increase resilience. It is also important to recognize that resilience doesn’t simply apply to material things - physical built and ecological infrastructure, tools, and money. Those things are important, but we speak of socio-ecological resilience because social and structural dynamics must also be resilient, from the individual level upwards. This ties into psychological and sociological resilience. Material assets are certainly essential to helping people and communities to adapt and cope, but people are more resilient if they have solid social networks and can help each other, learn and self-organize in response to or anticipation of some adversity. Chronic stresses like a lack of access to clean, piped water and acute stresses like losing your home in a storm take a mental toll. Thus, psychological resilience is also necessary to face such adversities. Ensuring that communities have access to networks characterised by trust and reciprocity can help to increase resilience. The research report aimed to identify key issues related to resilience following Tropical Cyclone Pam. It specifically focused on the ways that development programming and other interventions supported community resilience in the face of Tropical Cyclone Pam and what type of resilience already existed in the community, and how this could be strengthened in the future. The Asian Cities Climate Change Resilience Network (ACCCRN) resilience strategy proposed sector-specific actions to be carried out to build resilience and reduce vulnerability of the population of the city, with specific consideration to flooding. The study identifies specific actions points that may be taken up at the city and state-level to mainstream climate resilience (both mid-term and long-term). These action points include using ICT and strengthening municipal database management systems. Additionally, land-use planning recommendations were made, such as mapping and demarcation of green areas and water bodies in the city to regulate encroachment. The BRACED programme, launched in 2014 and funded by DFID, responds to the most immediate impacts of climate change – extreme climate events such as droughts, floods and cyclones. BRACED uses an explanatory framework for measuring resilient outcomes that embraces and makes sense of the current diversity in resilience approaches. Here, outcomes from BRACED projects are understood to be a set of interrelated resilience capacities understood as the 3As – the capacity to adapt to, anticipate and absorb climate extremes and disasters. This project is funded by the British Academy under its Sustainable Development Programme, part of the UK Government’s £1.5 billion Global Challenges Research Fund. It is focused on Equitable Resilience in Local Institutions (ERLI). It looks at how resilience practice plays out ‘on-the-ground’ through local institutions. They focus on four critical areas of engagement: transformation, inclusion, scale, and subjectivities. To understand the way in which the four strands interact, ERLI will identify stabilising/destabilizing effects, disturbances and disruptions experienced in development and disaster risk processes. These are identified in relation to ecosystem services, physical infrastructure, organisational interactions and formal and informal institutions. ERLI focuses on resilience practices both as outcomes and processes, aiming to develop our understanding of the meaning and practices of equitable resilience. Almedom, A., and Tumwine, J. (2008) ‘Resilience to Disasters: A Paradigm Shift from Vulnerability to Strength.’ African Health Services: December Special Issue. Brown, K. (2016) Resilience, Development, and Global Change. Routledge: London and New York. Folke, C. (2006). "Resilience: The emergence of a perspective for social-ecological systems analyses". Global Environmental Change. 16: 253–267. doi:10.1016/j.gloenvcha.2006.04.002. IPCC. (2012) Glossary of terms. In: Managing the Risks of Extreme Events and Disasters to Advance Climate Change Adaptation [Field, C.B., V. Barros, T.F. Stocker, D. Qin, D.J. Dokken, K.L. Ebi, M.D. Mastrandrea, K.J. Mach, G.-K. Plattner, S.K. Allen, M. Tignor, and P.M. Midgley (eds.)]. A Special Report of Working Groups I and II of the Intergovernmental Panel on Climate Change (IPCC). Cambridge University Press, Cambridge, UK, and New York, NY, USA, pp. 555-564. Resilience Research Centre (n.d.) ‘What is Resilience?’ Resilience Research Centre at Dalhousie University. Available online from: http://www.resilienceresearch.org/about-the-rrc/resilience/14-what-is-resilience [Accessed 8 October 2018]. Rockefeller Foundation (2013) 100 Resilient Cities. Available from: www.100resilientcities.org (Accessed 8 October 2018). Read the blog "Keep resilience language simple"
Read the blog "How resilient is resilience?"